How much do you want to have before the next holiday? Do you even know you can save a lot of money just by doing the things you normally do? A lot of people think that saving a lot of money in a short time period is hard. It really isn't. The truth is, saving a lot is easier than you think. It's probably more difficult to save $1,000 than to save $10,000. Sounds crazy, right? The reality is, once you pass a certain amount (more like your goal), the rest is just a bonus and is easy to do. That statement is based on my family's experience. Do you know that nearly six in 10 Americans do not have enough savings to cover a $500 or $1,000 unplanned expenses and at least 20% said they'd put those in a credit card? That's a shocking fact and it reminds us to save especially during rainy days. We used to be indebted to the tune of $40K. Once we paid it off, we started seeing our savings grow multiple times. Now, we have more than $400K in savings, which we did in under 5 years. Instead of doing a lot of things at the same time, it's always best to start small and focus on few areas where you can make improvements. Remember that small steps can make a big difference. Note: A lot of the frugal living tips here have helped us save additional $6K per year. Yes, my wife and I always manage to pull off at least $6K per year. If you're looking for ways to save money, then, this post is designed for you. 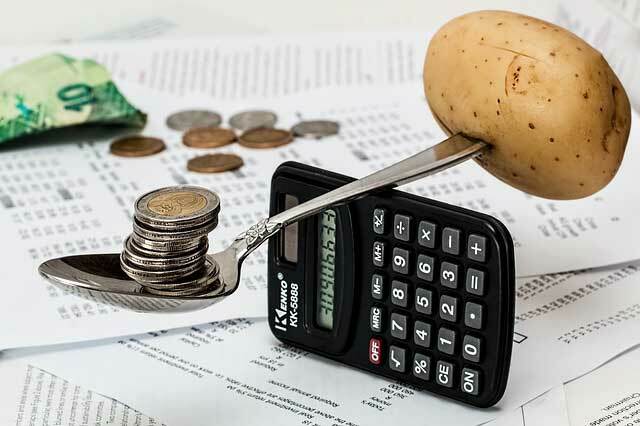 Here are some of the frugal living tips to help you save more by making some tweaks on how you spend, save, and everything in between. 1. Save For The Things You Want Just By Doing The Things You Do. I bet you've had this moment “I should be getting paid for doing this” even when that thing is just cleaning your own yard, doing the laundry, or cooking. There is a banking method that guarantees effortless savings by motivating you and making the entire experience fun. While it's not about making money, it's still about money, that is, saving money. That app is Qapital. Just simply pick any real life goal and you will be on your way to success. How? Just setup ‘rules, which, when triggered, transfer money into your goal via your Qapital account. For example, if I meet my daily-step goal, $4 is transferred in. Or if I make a purchase of $5.85, the leftover 15 cents is transferred over. Those transfers go to my goal. Let's put it in the simplest terms, we saved $6,000 last year towards our goals because of Qapital. We went from having budget headaches to perfecting our budget and saving money. In 2017, Qapital users saved $1,400 on average and that's without any effort. Using Qapital is by far one of the top frugal living tips I've ever used. Click here to create a FREE account with Qapital and start saving money without lifting a finger. 2. Joining Free Focus Groups To Earn Extra Money At Home. I do not recommend surveys as ways of building wealth, but then, if you don’t have much to do at the moment, it wouldn’t really take you much to make some extra cash from your couch. Ipsos Panel: It always has some really simple surveys you can take within 10 minutes to earn money. Some top-end surveys may pay up to $95. MyPoints: The survey questions are pretty simple and straightforward. Cake or ice cream? Sweet or Smoke BBQ sauce? As a reward, you'll be able to make money plus bonuses. Pinecone Research: this represents one of your biggest opportunities to influence new products, receive gift vouchers and earn cash from your sofa. Enough said, you can join for free. Survey Club: The survey that pays out $115 for focus group survey. No one beats Survey Club when it comes to food, travel, and entertainment surveys. You can literally make so much money from this platform. I'll tell you that joining these focus groups is one of the best frugal living tips I've ever applied in my life. 3. Trim Your Expenses Without Lifting A Finger. A lot of us sign for things we don't really need. Sometimes, we forget about them but they don't forget about us (i.e. they keep charging us fees month after month). Gym membership? Netflix? Are those familiar? If you pay attention and take action on these unnecessary expenses, you sure can save thousands of dollars a year. My wife and I saved over $3,000 by cutting our phones and cable. If it's hard for you to keep track of all of those money suckers, try using Trim. It understands that you sign up for stuffs and can easily forget some of them and let your money leak, and it is very efficient in blocking unnecessary leakages. Once you sign up and connect your bank account and phone number, it will analyze your spending and determine where you can save money. It will notify you to cancel irrelevant subscription and even help you with negotiation. Overall, it automates savings for you without you having to lift a finger. It is a great way to save money on a tight budget. Click here to use Trim now for FREE and start cutting down expenses you don't need. 4. Start Investing Without Knowing About It. Many of us are easily weighed down by the idea of starting an investment portfolio and would rather let our money take care of it. Well, this is now very possible thanks to the opportunity offered by Acorns. You can start your investment account with as little as $0.01 and watch the app stacks up your change to accumulate some real money. The app also does the investing for you. All you have to do is shop and your change will automatically become an investment. For sure, it is one of the smartest ways to save money on a tight budget that my investment has grown to $2,000 in just 7 months. Thanks to Acorns. 5. Earn Money While Buying Online. Normally buying means parting with money, but what if it is possible to save money and earn money by buying things? This is not about buying and reselling. You just buy online and earn some money for doing so. Paribus is among the best tool that can get you back some money for all your online purchases. You just sign up and have it monitor your receipts and get back money whenever there is a price drop. Ebates is another wonderful cash-back shopping site that will make sure your shopping is not all about spending. You will even get a $10 gift card if you sign up as a new member and earn your first cash-back. Besides their survey, MyPoints offers several other reward points as well as cashback. Points can be redeemed for cash, gift cards, and even online shopping. It is just amazing. 6. Consolidate Your Debts To Pay Them Off Early. Forget what some so-called financial gurus want you to believe about good debt and bad debt, you don’t want any debts hanging over your neck. It is always better to pay them off as early as possible. By consolidating them, you have a better understanding of how to take care of them. Credit Sesame will give you some great information that you can understand easily as it provides you both your credit report and score for FREE. Credit Sesame will show you the available offers to help you pay off your debt faster and more economical way. Debitize is another great app that can help you bridge the gap between credit and debit cards and get you out of debt faster. Whenever you swipe your credit card, Debitize just pulls the same cash amount from your bank account. It stores the cash until it’s time to pay your credit card bill. Then, it pays the bill for you a week before the due date. Voila! No more forgetting about your debt. You can also consolidate your debt using the SoFi. It won't necessarily make you money, but will save you a ton of it. You don’t have to struggle with that 14.99% interest when you can easily pay off high interest debts with SoFi and pay back at incredibly low rate like 4.99%. Between 14.99% and 4.99%, the clear choice is a no-brainer. 7. Save Your Retirement More Money. Of course you know it is never too early to start planning for retirement, but it may not be too early to start worrying about it. On a lighter note, because you worry about your retirement now, you really won't need to worry about it in the future. In actuality, you worry less and save more in the process. You need to ensure your retirement funds are on track. You can do just that with Blooom. It is not just a robo-advisor but it is also your great friend that will help you to ensure that you have that great retirement you dream of. It gives you an initial 401(k) checkup for free, find out hidden fees, tell you if your portfolio is too aggressive or not, and find out how much you could be missing out on by DIY-ing your 401k. To put things in perspective, if you have $100,000 invested, you would be paying $690. If that $690/year is invested instead at 15% compounded annually for 20 years, the result would be $73,681.15. Imagine if you have $150K, $200K or some more. Yikes. Click here to gain access to Blooom for FREE. Let your 401(k) work for you and not against you. Blooom can help you with that. 8. Be A Gracious Host For A Fee. If you have been a good host to most of your friends and relative, you might as well do it for a fee. Yes, that spare room can fetch you some money through Airbnb. There are people who are not really down for the commercial properties experience and will cherish that personal experience that will come from people like you with spare rooms. If you are really a gracious host, then you can really add hundreds or even thousands of dollars to your savings account with Airbnb especially when your property is in a busy city. All you need to do is make your space available at the right time, be a good host, and let the money keep piling up. Click here to list your property now with Airbnb. 9. Cut The Cord And Get More. There is no gain dwelling in the past, cable and satellite TV are no longer relevant today and you don’t have to be part of the old world. It is time to cut the cord and enjoy the new way of getting quality contents. Amazon Prime is one of the best ways to assess content today. Amazon Videos is free with Amazon Prime Subscription, and you will get such amazing videos that will blow your mind. You can also stream all you need from a TV with Hulu in one place. You can GET ONE FREE MONTH when you sign up and then start at $7.99/month. There is no need, whatsoever, to keep the cable. Cut the cord and enjoy better content. These frugal living tips can help you save a ton of money. We saved over $7,000 over and over again using a lot of the products in this post. Yeah, I hear what you're saying now. I know you're saying now that it really is easy to save money with simple tweaks on what you do every single day. Which of these frugal living tips are you doing now? And which ones you are going to do?